Southern Oregon has been experiencing a less than desirable amount of rain fall this year. As of February 7th, we were at only 22% of our average snow pack. We have been plagued by what meteorologists are calling the “ridiculously resilient ridge of high pressure” but last week broke that trend. The rains have arrived and the rivers have begun to flow. 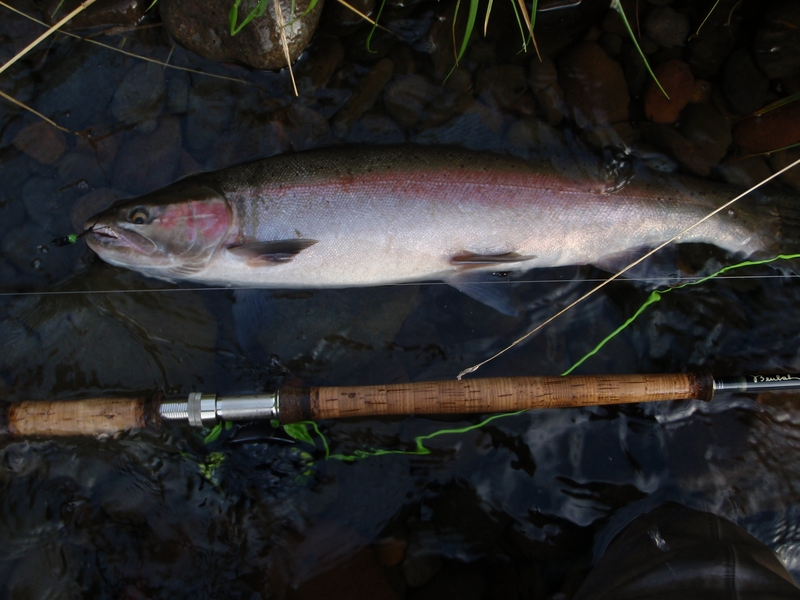 With the increased water flows, the winter steelhead have begun to make their way into the Upper Rogue River. I found this fish last weekend. The low flows this year have made for some exceptional winter fishing conditions. Short casts, shallow wading, and well defined buckets make the Rogue a winter steelheaders dream.